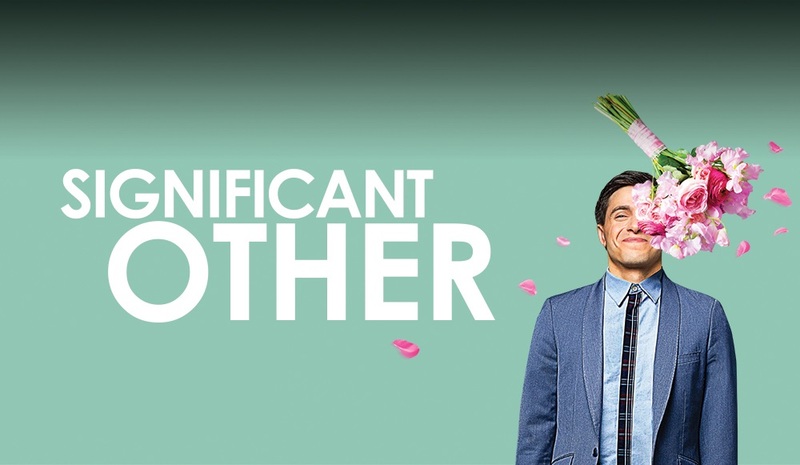 Broadway Transfer—The fantastic Joshua Harmon play, Significant Other, will transfer to Broadway next year. Significant Other played at Roundabout Theatre's off-Broadway venue last summer, and was fantastic. (It was one of my favorite things of the year.) Much like Harmon's Bad Jews, Significant Other is unflinchingly honest, and full of both comedy and pathos. Previews will begin in February 2017, and an opening night will be scheduled for March. Exact dates, a theatre, and casting have yet to be announced. The off-Broadway iteration featured Gideon Glick and Lindsay Mendez, giving knock out performances, and was directed by Trip Cullman. Broadway.com has more. Broadway—Comedians Nick Kroll and John Mulaney are bringing their hit show, Oh, Hello, to Broadway this fall. The limited engagement will take up residency at the Lyceum Theatre, where previews will begin on September 23. Opening night is scheduled for October 10, and the run will conclude on January 8, 2017. 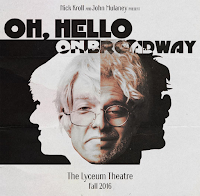 Kroll and Mulaney, playing 70-year-old, Alan Alda-obsessed New Yorkers, will be directed by the great Alex Timbers (Bloody Bloody Andrew Jackson, The Robber Bridegroom). 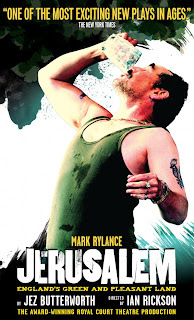 Theatre Mania has more. Broadway—The a cappella musical, In Transit, is coming to Broadway. Written by Oscar winner Kristen Anderson-Lopez (Frozen), James-Allen Ford, Russ Kaplan, and Sarah Wordsworth, the musical without an orchestra follows a group of 11 New Yorkers as they move through the city. 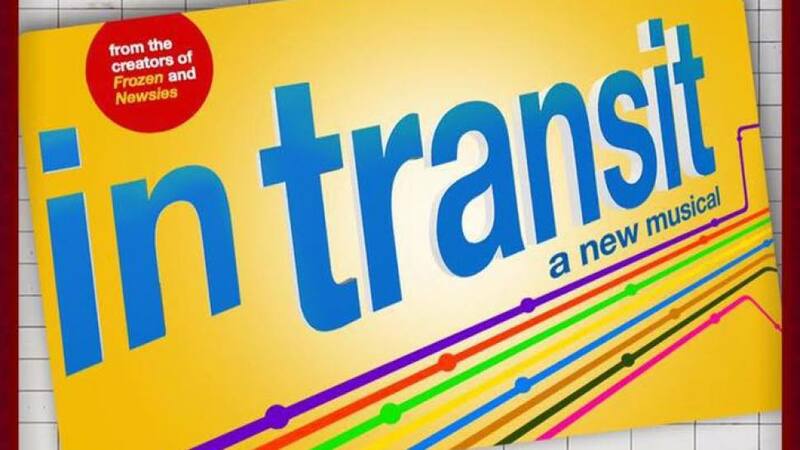 Dates and casting have yet to be announced, but In Transit is expected to move into the Circle in the Square Theatre this fall, and Tony winner Kathleen Marshall (Anything Goes) will direct and choreograph. Broadway.com has more. 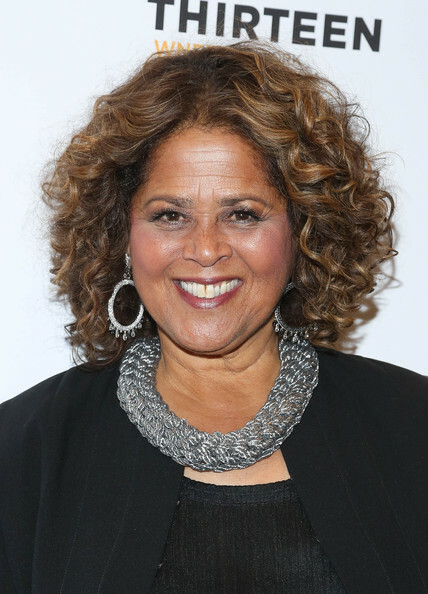 Off-Broadway—Second Stage announced that its 2016-2017 season will include three New York premieres: Notes from the Field: Doing Time in Education, written by and starring Anna Deavere Smith (The West Wing, Let Me Down Easy); Man From Nebraska, a 2003 Tracy Letts (August: Osage County) play, which was a 2004 Pulitzer Prize finalist; and A Parallelogram, from Clybourne Park and The Qualms scribe, Bruce Norris. Broadway.com has more. Broadway—The Broadway-bound stage adaptation of Anastasia has a home. Written by Terrence McNally (book), Stephen Flaherty (music), and Lynn Ahrens (lyrics)—the creative team behind Ragtime—the musical will play the Broadhurst Theatre. Opening night is scheduled for April 24, 2017. (Preview dates have not been set, but you can expect previews to begin in mid- to late-March.) Derek Klena (Dogfight), Christy Altomare, John Bolton, and Caroline O'Connor will lead the company, as they did in a recent Hartford Stage production. Anastasia is directed by Darko Tresnjak (A Gentleman's Guide to Love and Murder). Broadway.com has more. Additional casting has been announced for the Encores! 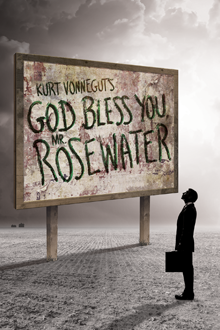 Off-Center production of God Bless You, Mr. Rosewater, running July 27-30. Joining the previously announced Skylar Astin and Santino Fontana are James Earl Jones (You Can't Take It With You), Rebecca Naomi Jones (The Fortress of Solitude), Brynn O'Malley (Honeymoon in Vegas), Derrick Baskin (Whorl Inside a Loop), Nick Choksi (Brooklynite), Eddie Cooper (Little Shop of Horrors), Jeff Blumenkrantz (Bright Star), Kevin Del Aguila (Peter and the Starcatcher), and more. God Bless You... is written by Kurt Vonnegut, Howard Ashman, and Alan Menken. Visit Broadway.com for the full cast list. 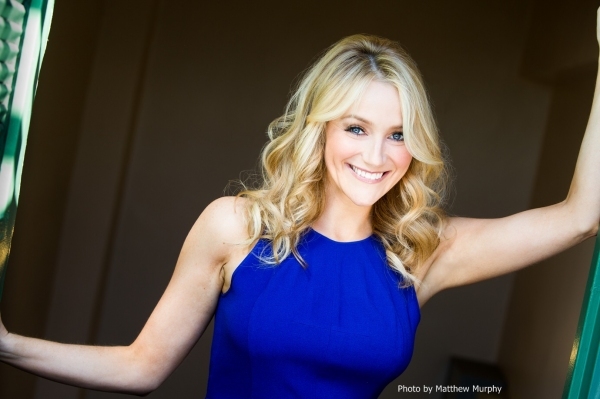 Betsy Wolfe (The Last Five Years), Tracie Thoms (Rent), and Tony nominee Brandon Uranowitz (An American in Paris) are joining the company of the upcoming Falsettos revival. They join the previously announced Christian Borle, Stephanie J. Block, and Andrew Rannells. Previews at the Walter Kerr Theatre begin September 29, with opening night scheduled for October 27. Playbill has more. The great stage and screen veteran Mary Beth Peil (The Good Wife, The Visit) will join Liev Schreiber and Janet McTeer for the upcoming revival of Les Liaisons Dangereuses. The production, which uses a translation by Christopher Hampton (God of Carnage), will play a limited engagement at the Booth Theatre. Previews begin October 8; opening night is set for October 30; the run is scheduled to conclude on January 22, 2017. Playbill has more. 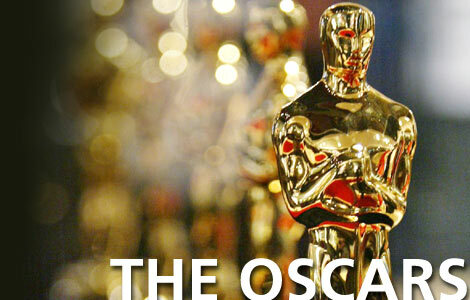 The Academy of Motion Picture Arts and Sciences has invited 683 artists to join the organization. With an emphasis on diversity (an area in which the Academy has been deficient for some time), this year's class is 46% female and 41% people of color. (Before you trip over yourself congratulating the Academy, note that this brings the total percentage of female Academy members to only 27%, up from 25, and of people of color to just 11%, up from 8.) 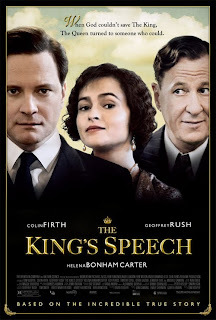 Among the actors invited to join are Idris Elba, Betty Buckley, Oscar Isaac (Inside Llewyn Davis), Michael B. Jordan (Fruitvale Station, Creed), Ice Cube (NWA, Straight Outta Compton), Patti LuPone, recent Oscar winners Brie Larson and Mark Rylance, Martin Starr, Eva Mendes, and Tessa Thomspon (Creed, Smart People). 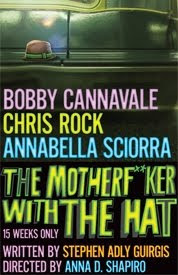 Among the directors and other creatives invited to join are Ryan Coogler (Fruitvale Station, Creed), Cary Joji Fukunaga, Valerie Faris and Jonathan Dayton (Little Miss Sunshine), Leslie Linka Glatter, Nicolas Winding Refn (Drive), Mary J. Blige, Destin Daniel Cretton (Short Term 12), Tina Fey, David Henry Hwang, and Alex Garland (Ex Machina). Visit the Academy website to view the full list of invitees. In other Academy news, it was announced that Oscar nominations will be announced January 24, 2017, and that the big night will fall on February 26. The Wrap as the full Academy Awards timeline. 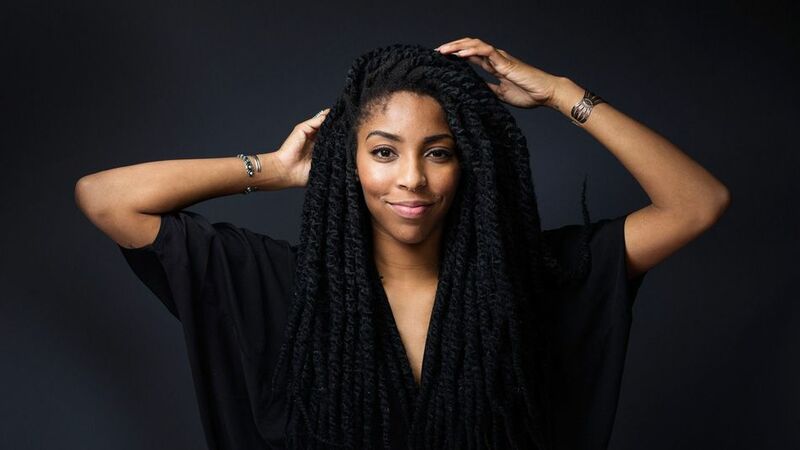 Jessica Williams is departing The Daily Show. Her final appearance was Thursday, June 30. Don't fret, though. Williams is staying at Comedy Central, and will write, produce, and star in a scripted comedy series for the network. Entertainment Weekly has more. The Broadway in Bryant Park lineup has been announced. Beginning July 7, fans can head to NYC's Bryant Park to watch performances from some Broadway and off-Broadway shows. Concerts are held on Thursdays, rain or shine. Some of the companies scheduled to perform are Waitress; the upcoming Great Comet of 1812; The Color Purple; An American in Paris; and many more. Visit Playbill for the full lineup. 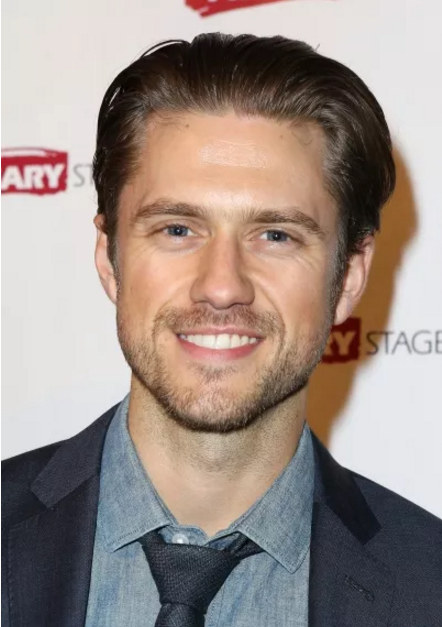 Better Off Single, the romantic comedy starring Aaron Tveit (Next to Normal, Brain Dead), will be released in theaters and on demand on October 7. Broadway.com has more. Speaking of Aaron Tveit, do you want to know more about those quirky musical recaps at the beginning of each episode of Brain Dead? The musician behind the music, Jonathan Coulton, spoke to Hit Fix about the odd job. Brain Dead airs on CBS on Monday nights, and stars Mary Elizabeth Winstead and Tveit. Tony nominee Christopher Jackson (Hamilton) has joined the A Capitol Fourth lineup. Tune in to PBS at 8pm on July 4 to catch the firework spectacular. Playbill has more. David Henry Hwang (the Tony Award-winning playwright of M. Butterfly) will take over as chair of the American Theatre Wing, replacing Tony-winning costume designer William Ivey Long, who has served the maximum four years. Theatre notables Patti LuPone, Liesl Tommy, and Sergio Trujillo, among others, have been newly appointed to the board. Broadway.com has more. 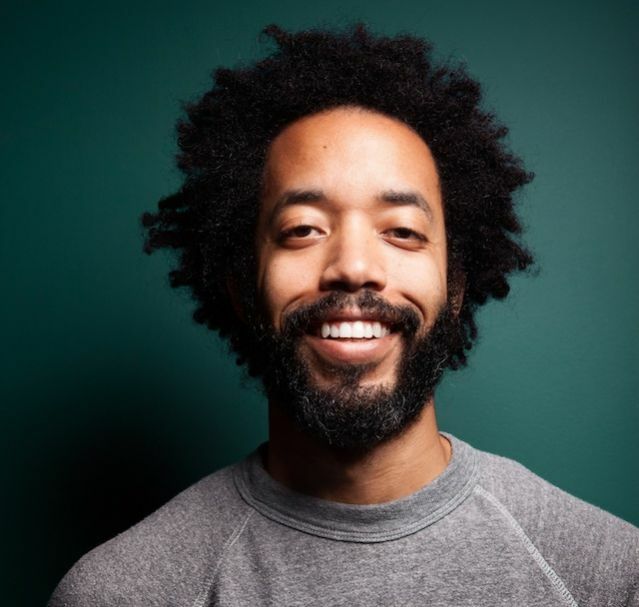 Wyatt Cenac talks to the AV Club about his career, what he's up to these days, and the Muppets. The next season of Modern Family will premiere on Wednesday, September 21, at 9pm. Visit Hit Fix to see the rest of ABC's fall schedule. The annual Broadway Flea Market and Grand Auction will be held on September 25. Playbill has details.